A few weeks ago, I posted Earth 2788, an Earth Girl short story featuring Jarra and Issette. 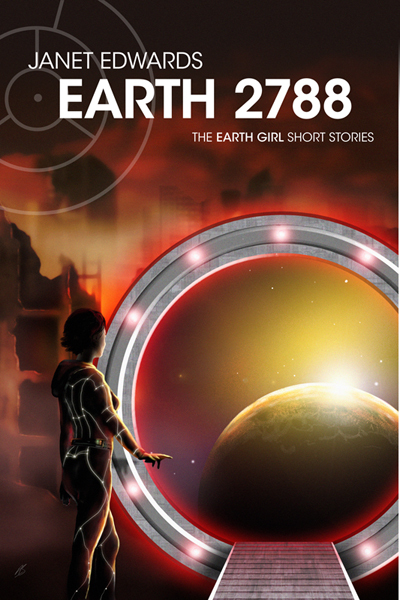 I’ve decided to expand this idea, so Earth 2788 will become a set of short stories, all posted here on my website, and all featuring characters from the Earth Girl trilogy. If you haven’t read the first title story yet, it’s here, and the second story will be appearing soon. Other stories will gradually follow. As you can see, I’ve already got some beautiful cover art from Alex Storer/thelightdream.net. This entry was posted in Uncategorized and tagged Earth Girl News, Free stories. Bookmark the permalink.